ANSWER: The Watchtower’s recent “adjustment” is correct. The man with the inkhorn and the six men with smashing weapons symbolize the angels who are involved in both saving the righteous and executing the wicked. And as they correctly note, the actual destruction of Jerusalem was carried out by Babylon. But the Watchtower’s relatively trivial “adjustment” does not bring things into proper focus. According to the article apostate Jerusalem represents Christendom and the world at large that will be destroyed at Armageddon. That is simply not the case. For example, why ought Jehovah’s people sigh and groan over the detestable things taking place in Christendom? There are a lot of people who are disheartened and disgusted by religion, but does that endear them to God or qualify them to be marked for salvation? Obviously not. If we take the entire prophecy into consideration it unquestionably points to the judgment of the house of God —not Christendom. That is evident from the fact that Jehovah caused Ezekiel to see in vision all the evil things that were being done within the temple of Jehovah in Jerusalem. That city, and especially the temple, was the place where Jehovah caused his name to reside. Although Ezekiel was not a priest within the temple —he being an exile in Babylon at the time —Jehovah picked him up by a tuft of his hair and carried him away by the spirt, boring through the temple walls to see the disgusting things being done by the priests of Jehovah. So, the wickedness was not overt. It was subtle —concealed within the walls of the sanctuary. Keep in mind that the destruction of “Jerusalem” is also the central feature of Jesus’ detailed prophecy concerning the conclusion of the system of things and his parousia. Christ indicated that his followers would have to take decisive, life-saving action when they saw the disgusting thing standing in a holy place. The apostle Paul also revealed that an imposter would assume control over God’s temple, an evil entity whom Paul identified as a man of lawlessness. Prior to his taking to himself the seat of God, though, the man of lawlessness promotes a fake parousia. That is why Paul warned the brothers not to be alarmed or shaken from their reason if they hear or read authoritative proclamations – even if purported to be messages from the apostles themselves – declaring that the presence has begun and the day of Jehovah is here. Paul explicitly stated that the day of Jehovah would not come until the apostasy comes first and the man of lawlessness, otherwise known as the Judas-like son of destruction, is revealed. Paul went on to explain that although the man of lawlessness exists prior to his being revealed, his lawless presence is not recognized as such —only the “mystery of this lawlessness is at work.” No doubt the revealing of the man of lawlessness will coincide with the disgusting thing standing in a holy place. But the foretold apostasy is yet to come. Quite likely the lawless faction within the Watchtower will ally itself with the new world order after the coming crash of the system. That will be an expression of the disgusting thing standing where it ought not —in the place of Christ. Oftentimes angels materialized as men —such as when two “men” in white garments appeared among the disciples who were looking upon Christ as he ascended to heaven. 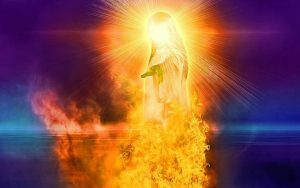 The question that ought to be considered is what is the significance of the appearance of a glorious superhuman, an experience which Daniel also had —as well as the apostle John in Revelation? In the apostle’s experience the effulgent figure is definitely identified as Jesus Christ. 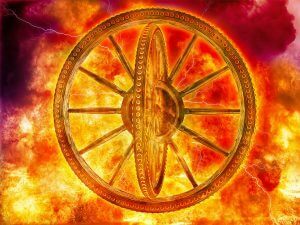 That being true, Ezekiel’s interaction with a dazzling man of fire, as well as his re-occurring interaction with the awe-inspiring fiery chariot and its enthroned rider, signify that the visions he experienced are to find their ultimate realization during the glorious, visible presence of Christ. What does the fire the angel throws down upon the earth represent? 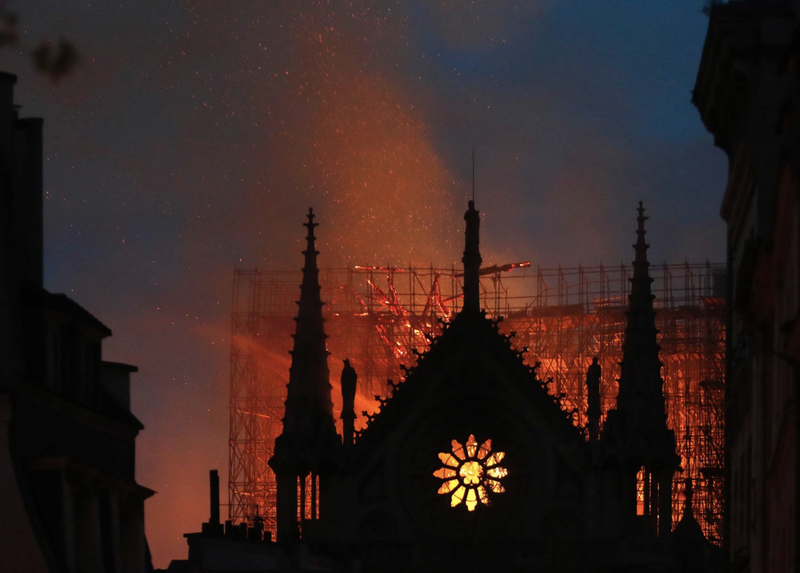 It symbolizes the destruction of God’s earthly organization. 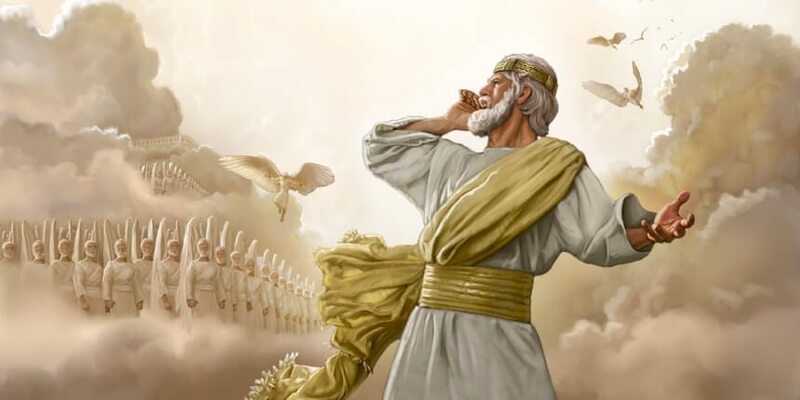 That is what is represented by the woes associated with the first four trumpet blasts, which have been considered in detail in the chapter of Revelation in Jehovah Himself Has Become King. Eyes on the Prize Saw this one 4-5 years ago....got more out of it the second time....Outstanding! Eyes on the Prize Yep....completely agree!